In today’s world, an athlete who wins Olympic medals will hear the beckoning of advertisers, talk shows, and countless others. In the US, Americans who win Olympic medal appear on the Wheaties Cereal box, sign endorsement deals with companies such as Subway or McDonald’s, and will sit down to talk with Jay Leno or David Letterman. They can also land guest-starring roles on television (Vancouver’s star Lindsey Vonn had a less than memorable one.). And, many of them have tried to use their Olympic success for launching an acting career. 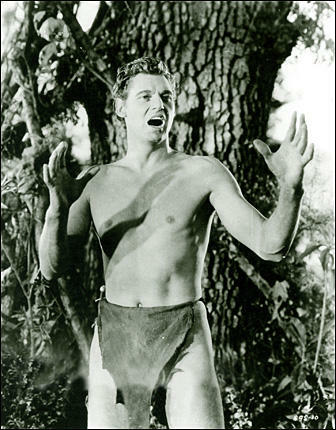 Carl Lewis, Greg Louganis, and Tara Lipinski have had less than successful results; but if an Olympian can win the roll of “Tarzan,” their chances at Hollywood fame seem better!